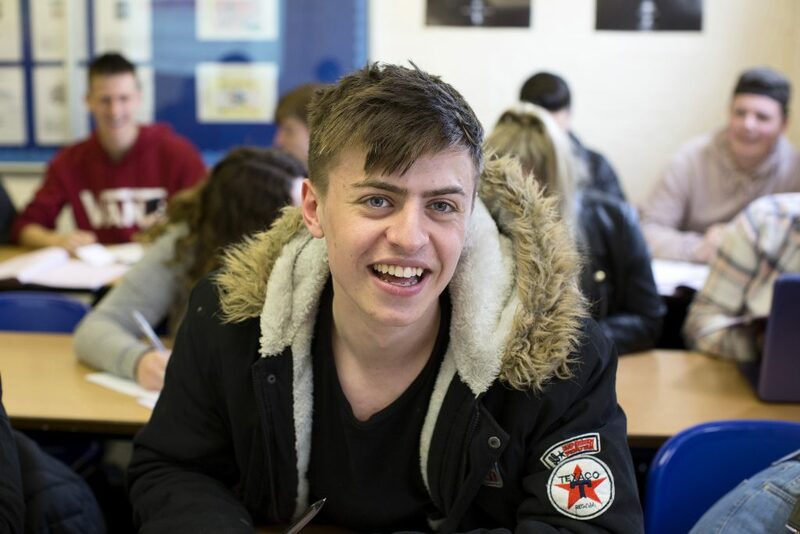 In The Polesworth School Sixth Form @ Tomlinson Hall we see students, teachers and parents as equal partners in the learning process and together our aim is that more young people achieve more, irrespective of their background or circumstances. We encourage students to be successful and, above all, to be ambitious. Achievement – Academic: We believe that all young people have the potential to achieve great things. Intelligence can be developed regardless of emotional and social background, given appropriate teaching and bespoke, individualised support. Young people should be encouraged to develop autonomy and control in their learning and to gain inspiration from learning. They should be equipped with a crucial sense of possibility based on a well developed self awareness and ambition – ambition not only for themselves but for the communities in which they live and work. Achievement – ‘letting your light shine’: All young people achieve things they can be proud of every day in addition to academic success and outside our school’s planned curriculum. We want to work with individuals so that they develop their own talents and interests together with a sense of pride in who they are and in what they achieve. Achievement – Relationships: Excellent relationships for learning are a prerequisite for all other achievements. We promote relationships that engender mutual respect between young people and between all other members of our school community in order to create a positive yet disciplined learning environment where the highest expectations are the norm. We are an inclusive Sixth Form; we deem every grade equally valuable if it represents the utmost that a student can achieve and we regard all subjects as equally demanding. We recognise that students have different needs and different abilities and we seek to reflect those differences in class by employing a range of teaching styles. We also see Sixth Form students as role models for the rest of the school. Ensure that all students fulfil their potential. Match students to the most appropriate courses for them. Support students through the transition from Year 11 to Year 12, and from Year 12 to Year 13, fostering independent learning and study skills. Foster the development of students as autonomous learners. Give students greater freedom and responsibility within a mutually supportive environment. Prepare students for life after Sixth Form whether in Higher or Further Education or Employment. Encourage students to be ambitious and to believe that they can achieve whatever they want. Develop positive working relationships between students, subject teachers and tutors so that all students complete their chosen courses. Encourage students to participate in the wider life of the school and community through enrichment activities. Work to the best of their ability in order to fulfil their potential. Develop good independent work and study skills, using non-contact time constructively. Take an active role in class and in Personal Tutor Time. Meet with their tutors to discuss their progress and target grades and attend parents’/students’ evenings. Review their own progress in subjects and set themselves appropriate targets. Maintain an agreed and appropriate programme of study to the end of the year. Be supportive of other students both in Tomlinson Hall and in the rest of the school. Strive to achieve and maintain an excellent record of attendance and punctuality with 95% attendance as the target. Attend Personal Tutor Time from 10.30 – 10.55am daily and off-timetable Enhanced Learning Days when scheduled (usually once per term). Plan work sensibly in order to meet deadlines for completion of coursework and homework assignments. Consult with subject staff as soon as any difficulties relating to work or progress arise. Catch up as soon as possible any work missed through absence. Prepare properly for examinations, allowing plenty of time for revision. Contribute to the wider life of the Sixth Form, engaging in enrichment, voluntary, community or work experience activities where appropriate and possible. Show respect and consideration for both fellow students and staff both in Tomlinson Hall and around the school. Follow the Polesworth School Sixth Form @ Tomlinson Hall Code of Conduct.